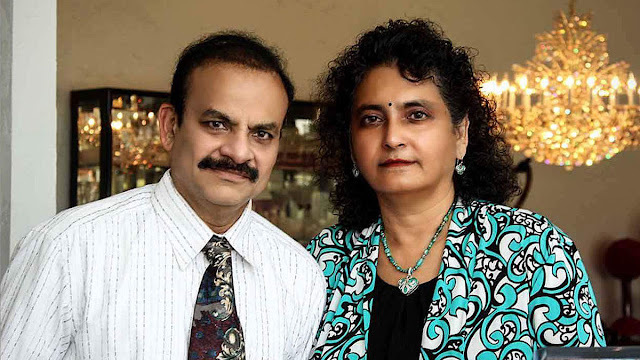 Umamahesware Kalapatapu and his wife Sitha-Gita Kalapatapu. 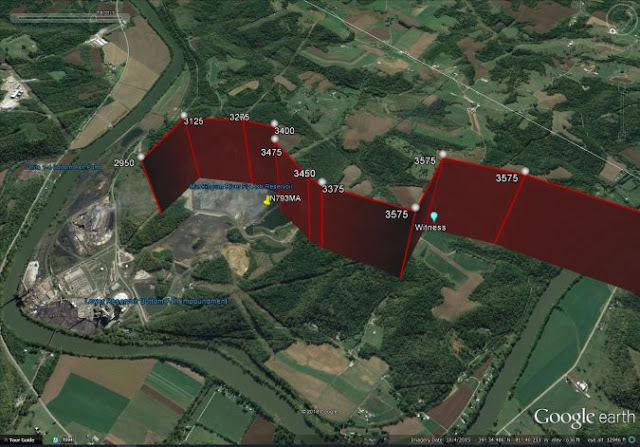 On July 8, 2017, at 0942 eastern daylight time, a Piper PA-28-181 airplane, N793MA, impacted the Muskingum River Fly Ash Reservoir near Waterford, Ohio. The private pilot and the passenger were fatally injured, and the airplane was destroyed. The airplane was registered to and operated the pilot under the provisions of Title 14 Code of Federal Regulations Part 91 as a personal flight. Instrument meteorological conditions prevailed at the time of the accident, and the cross-country flight was operated on an instrument flight rules (IFR) flight plan. The airplane departed Logansport/Cass County Airport (GGP), Logansport, Indiana, at 0758 and was en route to Mid-Ohio Valley Regional Airport (PKB), Parkersburg, West Virginia. According to air traffic control and radar information, the airplane was in cruise flight about 7,000 ft mean sea level (msl) until the initial descent to PKB began at 0933. The airplane began a steady descent and proceeded toward OWAVE, the initial approach fix for the RNAV (GPS) RWY 21 approach to PKB. The final 2.5 minutes of the radar data revealed several sharp turns left and right (figure 1). The last radar point recorded the airplane at 0942 at 2,950 ft msl, about 2,100 ft above ground level (agl), which was 0.5 miles northeast of the accident site. The accident site is marked with the yellow pin in figure 1. A witness, who was 0.78 nautical mile southwest of the accident site (as shown in figure 1), reported that low overcast clouds were present as he heard the airplane fly overhead. The airplane then exited the clouds in a steep angle of descent with the engine operating at "full rpm, full power." The airplane disappeared behind a tree line; he heard a thud sound, and the engine noise stopped. Only a few seconds elapsed between the airplane descending out of the clouds and the thud sound. Remnants of a pilot logbook were recovered from the reservoir but were not legible. According to the application for his most recent medical certificate on March 28, 2016, the pilot's total flight experience was 1,100 hours. His instrument flight experience is unknown. The pilot's flight instructor provided copies of his logbook, which showed that the pilot and flight instructor flew 7 flights in the accident airplane from April 2015 to March 2017. The flights totaled 7.95 hours and included 17 instrument approaches: 12 instrument landing system (ILS), 4 very-high omnidirectional range (VOR), and 1 GPS approach. The pilot's most recent logged instrument flight was on March 11, 2017, during which he completed 2 ILS and 1 VOR approach. The pilot's flight instructor reported that he flew the airplane on July 26, 2016, from Indianapolis to GGP. He stated that the autopilot worked in the wings-level roll mode but would not hold a heading. The instructor did not report if the autopilot was placarded inoperative or if any subsequent maintenance had been performed to fix the issue. The airplane maintenance logbooks did not contain any entries regarding the autopilot. The weather conditions near the accident location included overcast ceilings between 1,200 and 1,500 ft agl (2,000 to 2,300 ft msl). The cloud tops across the region were 6,200 ft to 6,900 ft msl. An area forecast for southwestern Ohio forecasted overcast clouds at 2,000 ft msl and overcast clouds at 5,000 ft msl with cloud tops to 10,000 ft msl. An AIRMET for IFR conditions was active for the accident location at the accident time. The accident site was in the Muskingum River Fly Ash Reservoir, and the wreckage was submerged in about 5 ft of water. The wreckage debris field was generally oriented west to east. A fuel sheen was observed on top of the water near the wreckage. The wreckage was recovered by divers and pulled to the shore. 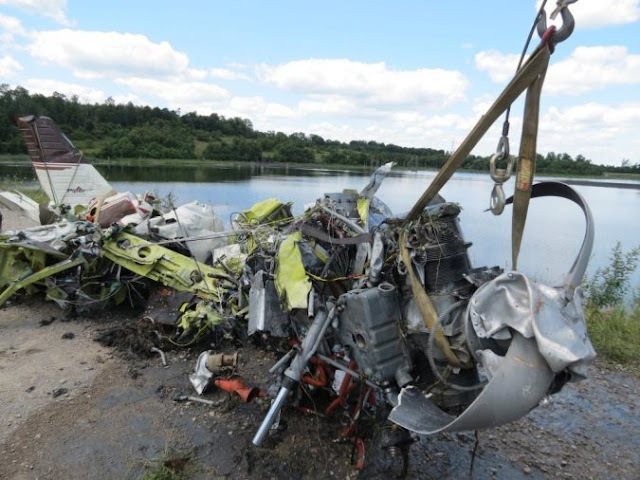 A postaccident examination of the wreckage revealed that the airplane had separated into three main sections. The largest section, shown in figure 2, consisted of the engine, fuselage, and empennage. The next section consisted of most of the right wing, and the last section consisted of a small section of the left wing. 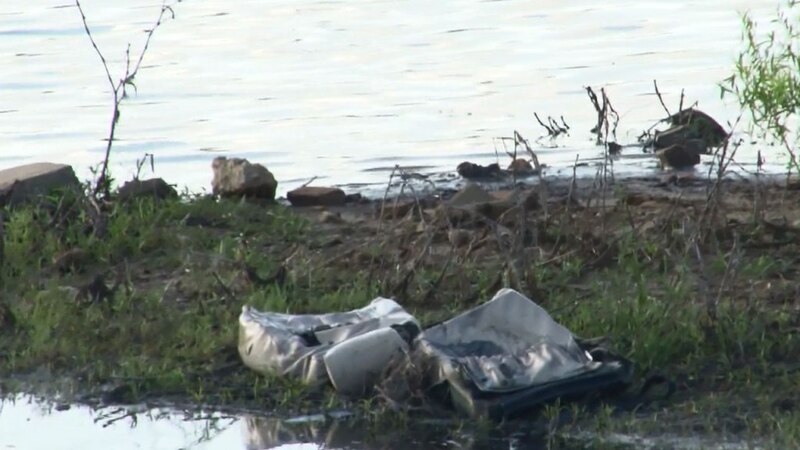 Several small pieces of airplane debris were also recovered from other areas of the reservoir. No electronic devices were found with the wreckage. A distinct needle impact mark on the face of the airspeed indicator was observed near 153 kts indication, which was just below the redline. The altimeter barometric pressure was set to 29.98 inches of mercury. The other instruments were significantly damage during the accident sequence, and their final positions were unreliable. The vacuum pump remained attached to the engine, and no external damage was noted. The pump was partially disassembled, and the composite drive assembly, carbon rotor, and carbon vanes were intact. The electric auxiliary vacuum pump was not found with the recovered wreckage. The propeller remained attached to the engine crankshaft flange. The propeller spinner was crushed. One propeller blade remained intact, was curled aft about 100°, and exhibited longitudinal twisting. The other blade was twisted, curled aft about 90°, and was fractured about 1 ft from the tip; the separated tip was not found. The postaccident examination of the engine and airframe did not reveal any preimpact anomalies that would have precluded normal operation. The Montgomery County Coroner's Office, Dayton, Ohio, completed an autopsy on the pilot, and the cause of death was multiple blunt force injuries. Significant coronary artery disease was identified with 95% atherosclerotic stenosis of the left anterior descending coronary artery and 10% atherosclerotic stenosis of the left circumflex and right coronary arteries. The remainder of the examination of the heart was unremarkable; there was no evidence of previous ischemia. Toxicology testing performed by the Montgomery County Coroner's Office identified but did not quantify ethanol in the pilot's liver. Toxicology testing performed by the Federal Aviation Administration (FAA) Bioaeronautical Sciences Research Laboratory, Oklahoma City, Oklahoma, identified irbesartan and metoprolol in muscle and metoprolol and pravastatin in liver, none of which are considered impairing. No ethanol was found in liver or brain tissue. Irbesartan is a prescription medication used alone or in combination with other medications to treat high blood pressure. It is also used to treat kidney disease caused by diabetes in patients with type 2 diabetes and high blood pressure. 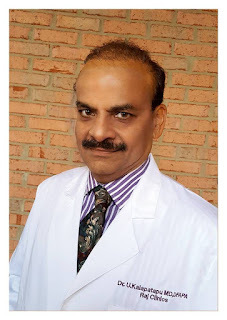 Pravastatin is a prescription medication used together with diet, weight-loss, and exercise to reduce low-density lipoprotein cholesterol and triglycerides in the blood and to increase the amount of high-density lipoprotein cholesterol in the blood. Metoprolol is a prescription medication used alone or in combination with other medications to treat high blood pressure. It also is used to prevent angina (chest pain) and to improve survival after a heart attack. Metoprolol also is used in combination with other medications to treat heart failure. This plane's like a rash on the NTSB website. 3 mishaps listed, with two Probable Causes denoting pilot error during landings. I dunno, I think the FAA has to be more proactive with pilots who exhibit a lack of flying skills. Put these pilots in a simulator and make them sweat bullets until they demonstrate proficiency in all flight regimes. That’s definitely the answer to solve these problems. I wish you had been around when the FARS were written. I swear, I've said "Jesus H Christ" reading these things on this site than any other. The insanity!